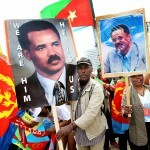 In Eritrea, even being part of the East African nation’s tame state media is no protection. That was the conclusion Abraham Zere reached after years of working as a columnist for the government newspaper Hadas Erta and later for the ruling party’s magazine. 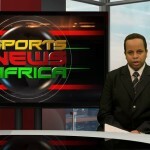 All independent media outlets in the country of 6 million were closed in 2001 amid a massive crackdown on internal dissent following the country’s disastrous two-year border-war with Ethiopia. More than a dozen prominent journalists were jailed – and to this day it’s not known how many are still alive. 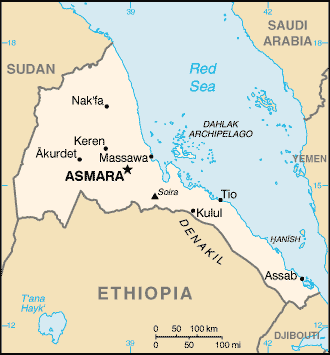 But as Abraham has written, for state media workers Eritrea became a Kafka-esque world of uncertainty and seemingly random detentions by security forces. In 2006, security forces detained 10 state media journalists who worked at the Ministry of Information without any apparent rhyme or reason–keeping some in custody for weeks. In 2009, the military raided a state educational station called Radio Bana, arresting at least 40 reporters and media workers for reasons that are still unclear. Some were held in prison until 2015. 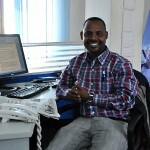 Abraham escaped Eritrea in 2012 after being granted permission to study abroad. 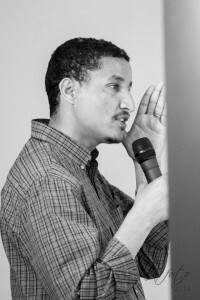 Now living in Ohio, where he co-founded the free expression group PEN Eritrea and is a graduate student at Ohio University, he spoke with Global Journalist’s Anna Sutterer about his work in a country that has ranked last in Reporters Without Borders’ World Press Freedom Index for eight consecutive years. 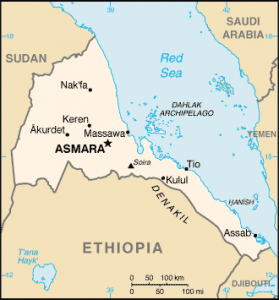 Global Journalist: How did you manage to get out of Eritrea in 2012? Abraham: I left the country initially to study in South Africa after lobbying and pulling all possible contacts for more than four months. I had to go to the Office of the President in person and discuss my case with the director [Yemane Gebremeskel, now information minister]. It is still considered a big favor…I had a good excuse to leave officially to study, but I also badly wanted to escape and breathe fresh air. GJ: Tell us about the article you wrote that angered the former information minister – and led you to think about fleeing? Abraham: After resigning from [state newspaper] Haddas Erta, I started to contribute to the only other outlet: Hidri magazine, the official organ of the ruling party. Then in April 2009, I wrote an article in which I boldly mocked how the Eritrean youth were disempowered while the national media have been portraying otherwise. The article outraged [former information minister] Ali Abdu, as I was teasing his ministry. The next day he wrote me a strong warning and identified me as a national security threat in the national newspaper. 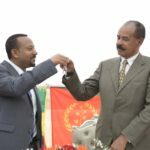 Global Journalist: It’s been very difficult for foreign reporters to cover Eritrea, though recently a few have been allowed in. How free are they to report? 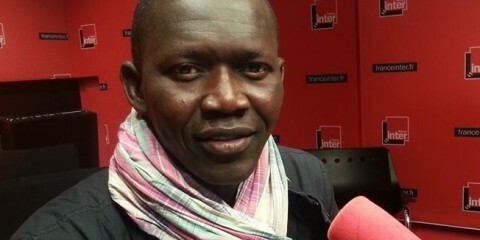 Abraham: The journalists have their escorts who are often extensively briefed by the ruling party’s leaders. Then they end-up interviewing two or three media-friendly government officials. But there has been an exception to this recently by the New Yorker‘s Alexis Okeowo. Her main story was the Eritrean soccer team that defected in Botswana. She extensively interviewed the players, met most of the crucial figures in the country and accurately described everyday life in Eritrea. 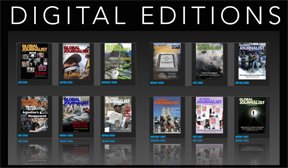 Her article, in my view, is the best article written on Eritrea over the last decade. 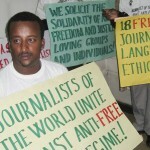 Global Journalist: PEN Eritrea advocates for free expression in Eritrea. 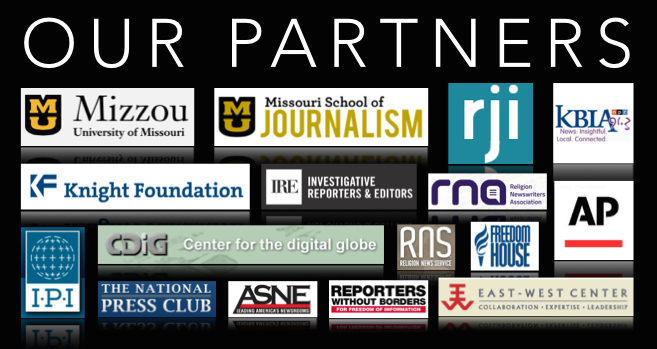 Why is it important to keep talking about press freedom there when it hasn’t changed in 15 years? 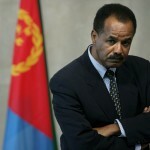 Abraham: Myself and other exiled colleagues are writing to underline the abysmal state of free press in Eritrea. Over the last year, we have done some tangible works and highlighted the cases of forgotten Eritrean journalists who have been reduced to names and numbers mainly for lack of information. For the last year and a half, I have been extensively writing mainly on Eritrea’s freedom of expressions and human rights abuses for different media. When I publish something, in an attempt to shake the dread silence, I relieve a fraction of my guilty conscience for staying behind my colleagues who are languishing in Eritrean detention centers.